Saffron and Blue is all about spaces and places and hues. 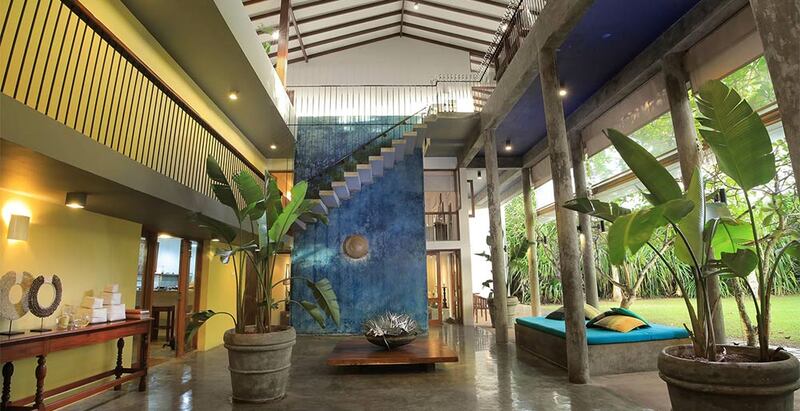 This beautifully designed villa in Kosgada, Bentota, has lots of bright nooks that suit everyone’s moods. The villa boasts huge spaces, modern facilities, jacuzzi and outdoor pool, mezzanine area in the rooms and fine art collection. In-villa staff provides for every guest’s needs, from housekeeping to chef services for special dietary requirements!